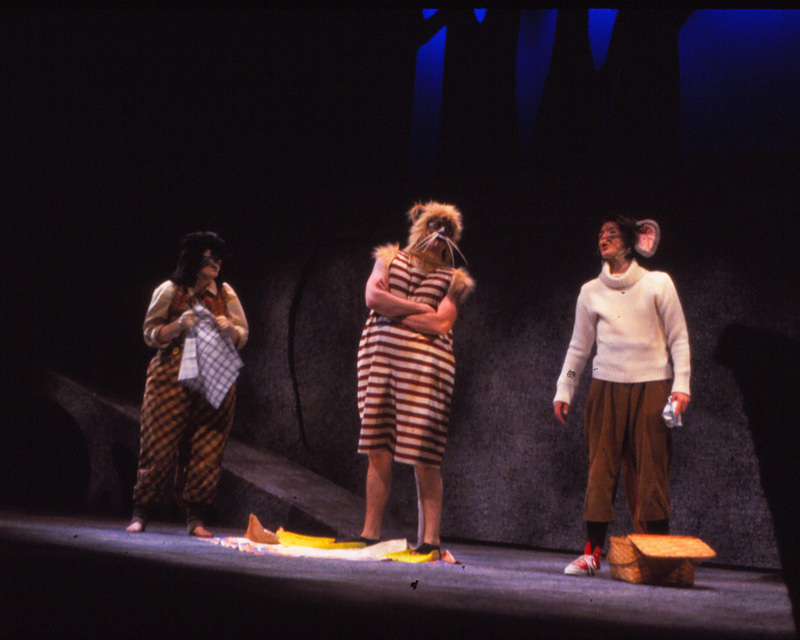 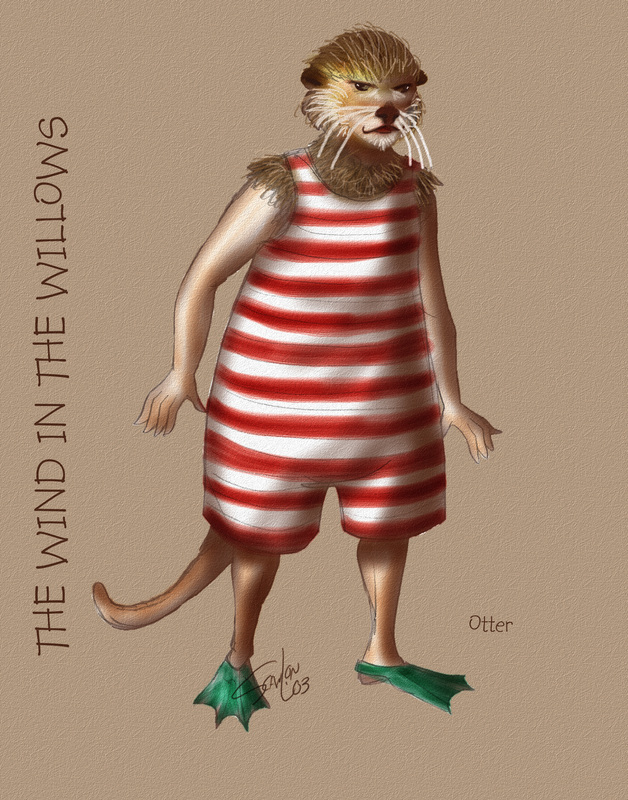 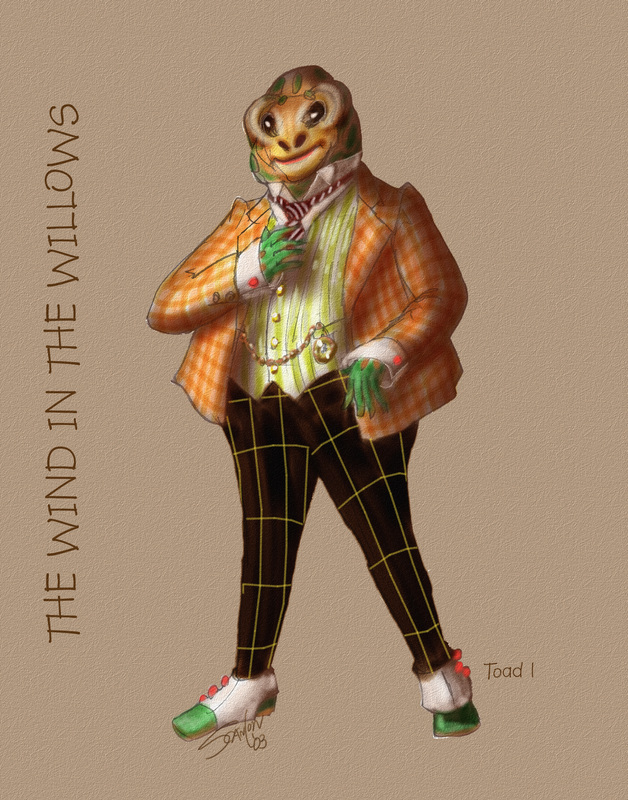 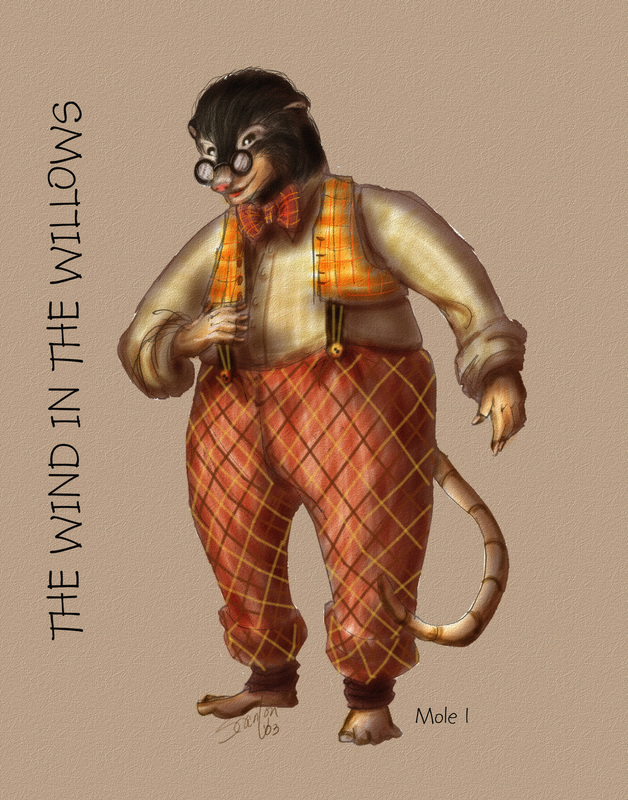 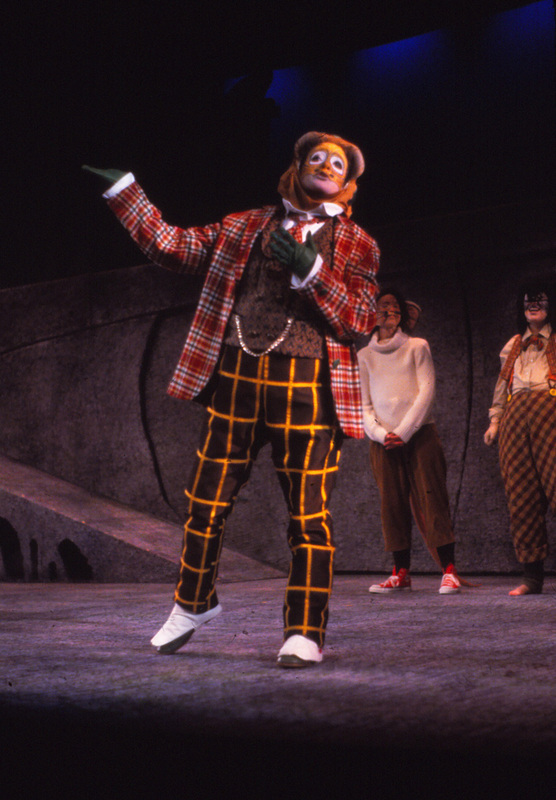 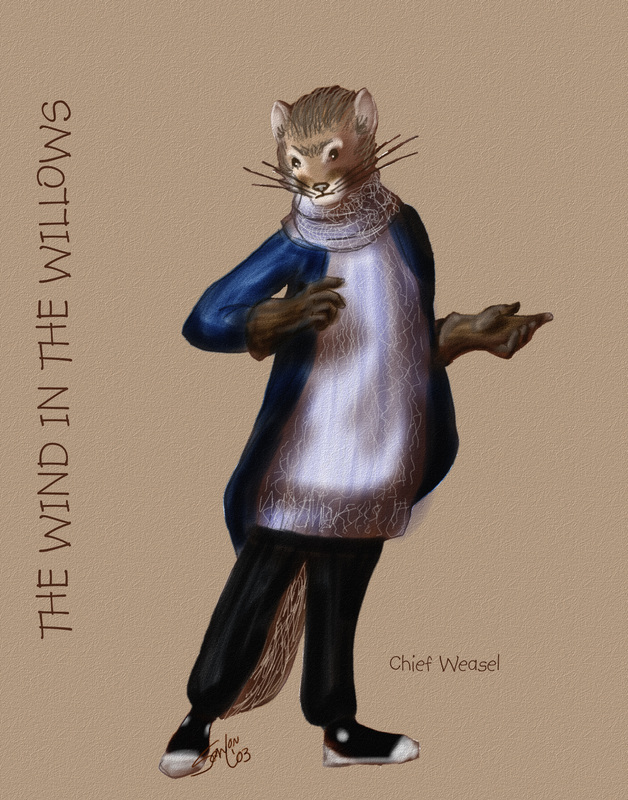 The production of THE WIND IN THE WILLOWS was produced in 2003 on the Pardoe stage at Brigham Young University. 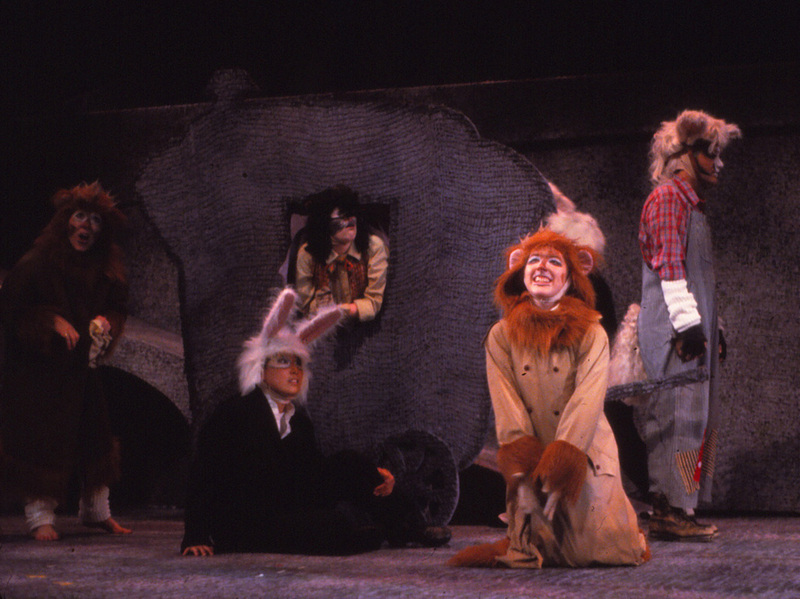 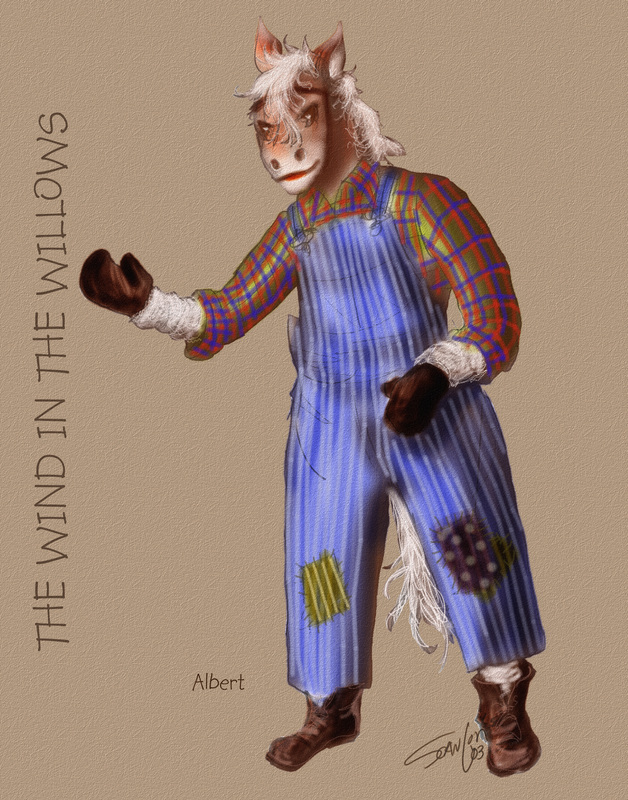 Highly conceived as a child's fantasy, I filled the role of Costume and Makeup Designer, creating the wonderful characters for this animal classic. 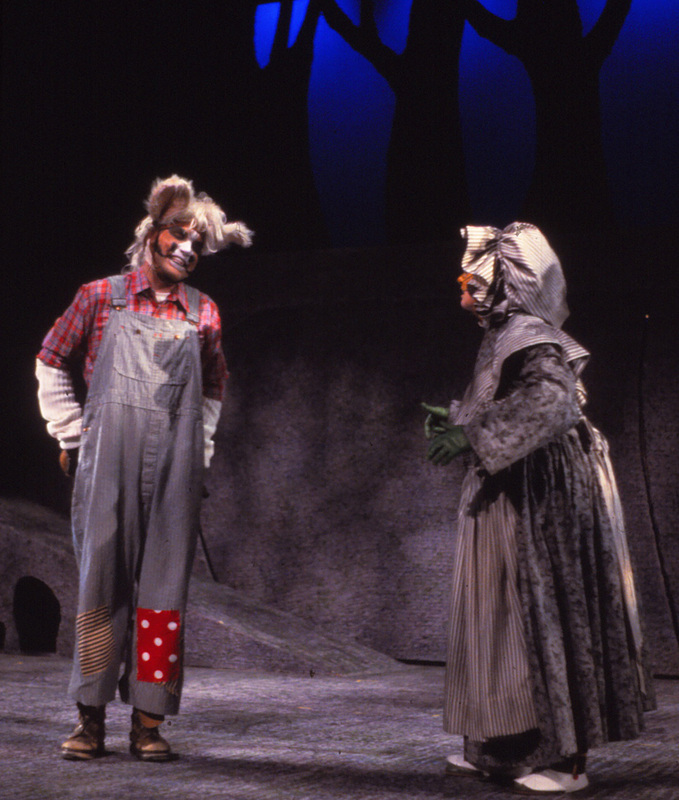 They were designed to have little facial covering, so the animal characteristics were carried into head coverings that worked into the flat makeup designs painted on the actors' faces. 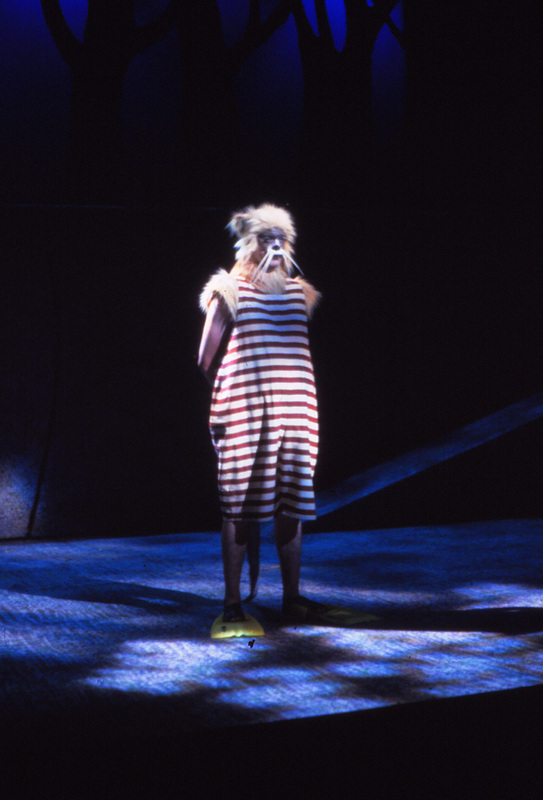 Artificial bodies were built into the costumes to help balance the human shape with the animal characteristics. 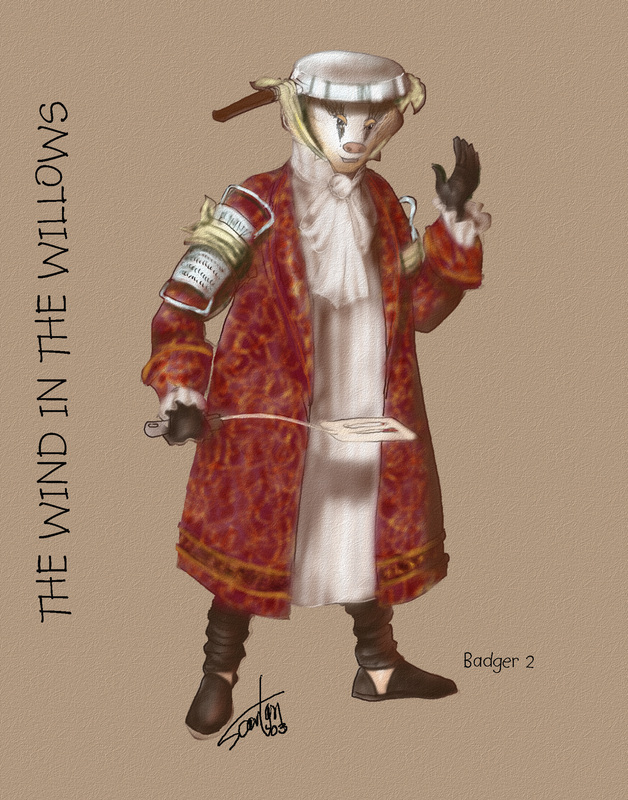 The designs were all completed on a computer, using Photoshop and Painter.